On 20 September 2015, Nepal’s new constitution passed amid deadly protests by Madhesi and Tharu groups across the southern Tarai plains that continued for months, leaving 57 dead. Protesting groups said the statute backtracked on addressing structural discrimination. The protests had deep support in ethnic Madhesi Tarai communities, reflecting a profound, increasing sense of alienation from the state. 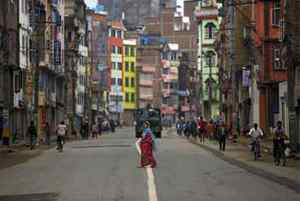 A 135-day blockade of vital supplies by Madhesi civic and political groups, partially supported by India, has ended, but as no political solution is on the table, the protests are almost certain to resume. To stop violent polarisation and a breakdown of social relations, national parties and protesting groups must urgently agree on how to manage contentious issues, with timelines, guarantees, and a role for civic participation. A sustainable, equitable social contract is necessary for lasting peace and reconciliation. After the devastating earthquakes in spring 2015, the largest parties in the Constituent Assembly decided, amid controversy, to fast-track a new constitution so as to fulfil a longstanding peace process commitment and enable them to focus on reconstruction. Some administrative and structural reforms mandated by the 2006 Comprehensive Peace Agreement (CPA), 2007 Interim Constitution and other political agreements are enshrined in the new constitution. But Madhesi, Tharu, janajati, Dalit, religious minorities and women’s groups – all considered historically marginalised – believe the new statute and the process by which it was rushed through diluted commitments to meaningful federalism, redress for historical, structural discrimination based on ethnic and religious identity and gender, and democratic consultation. There is disagreement over boundaries of new states, electoral representation and affirmative action, constituency delineation and citizenship-related clauses. Supporters of the new constitution feel much has already been achieved and say an excessive focus on identity-based grievances threatens Nepal’s unity, integrity, even sovereignty. The objections of those who demonstrated against it have their roots in long-running social disagreements on what it means to be Nepali and whether a homogenous conception of Nepaliness has led to structural discrimination against groups that do not conform to the behaviour and values of hill-origin, Nepali-speaking, upper caste Hindu communities. The blockade was an extreme form of protest with complex consequences, including grievous harm to the weakest and poorest sections of Nepali society and alienating communities the protestors should have been making common cause with. Yet, judging it a failure as a tactic should not substitute for a careful assessment of what is in effect a social movement in the Tarai. All political parties and most protesters agree that the way forward is to amend the new constitution, not scrap it. In January 2016, the major parties passed two amendments related to more inclusive representation in state organs and delineation of constituencies. Madhesi parties and protestors say these do not adequately address their grievances. Like the constitution, they were adopted unilaterally by the largest parties, losing the legitimacy they would have had as the outcome of a political negotiation. Positions are not irreconcilable, but the prerequisites for any solution – respect, trust, political will, a degree of selflessness – are in short supply. The deficit is fuelled by ideological struggles to maintain a status quo that challengers say cements discrimination and supporters say protects the country, and by the behaviour of political parties, their lack of internal democracy, factionalism and opportunism. There is clear risk of escalating violence in the Tarai. The depth of social discontent, lack of fruitful negotiations and disillusion with Madhesi parties is creating room for radical positions. Mainstream national parties are also in the Tarai, and some are inclined to launch counter protests, which likewise lead to clashes. The security forces are seen as discriminating against Madhesis and using excessive force. Employing them repeatedly to quell local protests fuels anger and radicalisation, could encourage armed Madhesi groups, of which the region has a history, and might also allow a fringe Madhesi secessionist movement to gain traction. While unlikely to be successful or widespread, it would increase the volatility of a complex region. If implementation begins before these issues are addressed, the mainstream parties risk wholesale rejection of the constitution by a large section of the population. Discussions are ongoing in government about conducting local elections; these too carry grave risks of violence, boycotts, intimidation and, in some areas, rejection of the state and its political system. The vision of Nepal as a functioning, tolerant, forward-looking, multi-ethnic society presented in the agreements that were reached after the armed conflict between the Maoist movement and the state ended is in crisis. Those documents are the basis of today’s polity and cannot be replaced unilaterally. Forcing acceptance of a flawed constitution could end the political transition and trigger unmanageable new conflict. Restore trust with Madhesi and Tharu populations by forming an independent mechanism to investigate the protest-related deaths and avoid a heavy-handed security response during protests. Refrain from ultimatums and provocative comments. Address the economic and humanitarian consequences of the earthquakes and blockade. Rebuild trust with all social groups which live in the plains. Refrain from arbitrary protest strategies, provocative speech and violence. Agree urgently on terms of reference for a mechanism on state boundaries. Postpone local elections if there is no roadmap to address constitutional disagreements. Monitor conflict risks and potential mitigation measures in contested plains and hills areas regularly. Lead the way in social dialogue efforts in the Tarai between all social groups. Create a group of respected, credible national and local figures to explain constitutional issues and coordinate messaging when tensions rise. Maintain an open approach to all sides. Assess performance of the security forces and the National Human Rights Commission and calibrate support and training accordingly. Refuse support for local elections if a roadmap agreed with agitating groups is not in place. Ensure conflict sensitivity in reconstruction and development projects.